For the past twenty years, tech companies have been enjoying a free-for-all. No rules, no regulations—no problem, right? Not so fast. Changes are coming, and they’re coming quickly. Digital technology and public policy expert Taylor Owen has been tracking what’s on the horizon for tech companies and our communities as new policies, research, and laws come into play. His up-to-the-minute talks reveal what you and your organization need to know about data collection, privacy, AI, smart technology, outsourcing, the global economy, and much, much more as we sit on the cusp of the next great change in our technological age. 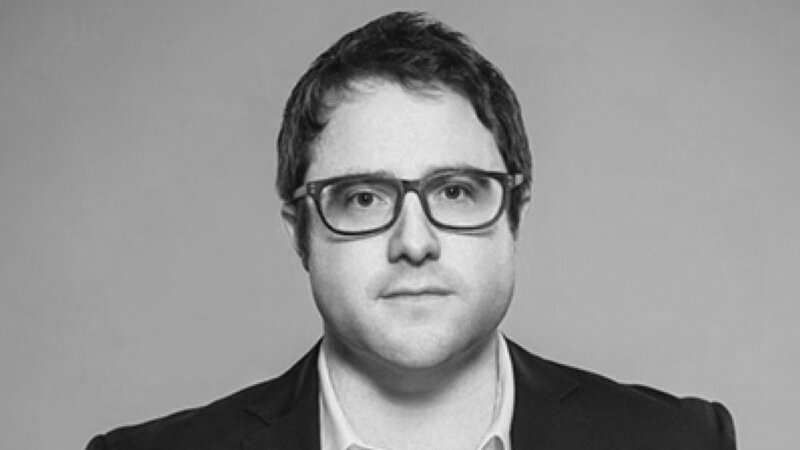 Taylor Owen is Associate Professor and the holder of the Beaverbrook Chair in Media, Ethics, and Communications at the Max Bell School of Public Policy at McGill University. Previously, he was an Assistant Professor of Digital Media and Global Affairs at the University of British Columbia and the Research Director of the Tow Center for Digital Journalism at the Columbia Journalism School, where he led a program studying the impact of digital technology on the practice of journalism. He received his doctorate from the University of Oxford. He was previously a Trudeau and Banting scholar, an Action Canada and Public Policy Forum Fellow, and the 2016 Public Policy Forum Emerging Leader. He currently sits on the Board of Directors of the Center for International Governance Innovation and on the Governing Council of the Social Sciences and Humanities Research Council. He is also the Founder of the international affairs media platform OpenCanada.org. Taylor is the author of Disruptive Power: The Crisis of the State in the Digital Age (Oxford University Press, 2014), co-editor of The World Won’t Wait: Why Canada Needs to Rethink its Foreign Policies (University of Toronto Press, 2015, with Roland Paris), and co-editor of Journalism After Snowden: The Future of the Free Press in the Surveillance State (Columbia University Press, 2017, with Emily Bell). Yale University Press will publish his forthcoming book on Silicon Valley, journalism, and democracy in 2019. The government has been quietly working on new policies and laws pertaining to privacy, competition, data collection, taxation, and much more in the tech sector. But, these changes don’t just involve tech companies—they’re for anyone who has digital reach (aka: most of us). In this essential new talk, Taylor Owen breaks down how these changes in policy will affect you and your organization. Do you use technology in any way in your business? Then you need to hear this. Canadian cities are on the cusp of major change. As municipalities implement technological changes that will make our cities smarter, and the industries that support our communities rely more and more on tech, we open ourselves up to a whole host of new questions. What kinds of companies are doing business in our cities? Who will take control of the new data that smart technology will collect? Who will monetize it? Should the data stay in Canada? Should we grow our own tech industry, and try to stop American companies from taking over? In this insightful talk, Taylor Owen pushes hard on the urgent issues affecting Canadian cities and companies today. He is the only Canadian talking about the technological challenges our nation is facing in a global way. It’s a much-needed perspective on these tricky new problems. With Taylor at the helm, we gain a new understanding of how we can prepare ourselves for the economic, social, and political ramifications of our new technological future. We all know that digital technology has changed the world. But the deep impact of digital—the world-shaking, never-going-back-now, fundamental alterations to our way of life—is something that continues to be underestimated by government, by industry, by the people creating these technologies, and by all of us as a society. In this far-reaching and eye-opening talk, Taylor Owen takes on digital technology as a whole. He breaks down what’s happened so far and what’s still to come. From AI to quantum computing to blockchain to biotech and much, much more, Taylor reveals the massive impact technology is having on our world. What does it mean when a digital actor like Facebook has more power to make people do things than government? What will happen when the highest employment job in the United States—ground shipping—is replaced by automation? Will a basic minimum income really solve our problems? How will the economy even function? What do we need to do to literally save the world? Applicable to truly every industry, this talk couldn’t be more necessary right now. Taylor will astonish, educate, and inspire, leaving your audience thinking about digital technology in a whole new way. The traditional media and journalism institutions of the 20th century have been radically upended. Their business models have been almost entirely disrupted, and their mode of information-creation replaced. Platforms are largely absorbing journalism, which has enabled the misinformation problem—and it’s poised to get much, much worse. How will this affect our world? And what do we need to do to stop the madness? In this talk, Taylor Owen outlines the shifts underway in the media ecosystem, and provide a roadmap to engaging constructively in a world dominated by big data, algorithms and platforms and companies such as Vice, Buzzfeed, Facebook, and Google. It’s a must-hear for audiences interested in the social implications of these changes—particularly when it comes to our political climate. Contact us to learn how Taylor can craft a message for your audience.